Hostess told union workers they would close plants if the union went on strike. The bakers’ union went on strike anyway. So today Hostess closed three plants, including the one in St. Louis that has been in business for decades, in response to the strike. Over 600 workers will no longer have a job. Hostess Brands permanently closed three bakeries Monday, including a plant in St. Louis where 365 jobs were cut, in response to a bakers’ union strike that started Friday. The bankrupt maker of Twinkies and Wonder bread said it’s trying to avert liquidating the entire company, and it shuttered three plants that were no longer able to produce and deliver products because of picket lines. The other plant closures are in Seattle and Cincinnati, where a combined 262 jobs were cut. “We deeply regret this decision, but we have repeatedly explained that we will close facilities that are no longer able to produce and deliver products because of a work stoppage — and that we will close the entire company if widespread strikes cripple our business,” Hostess CEO Gregory Rayburn said in a statement. Wholesale baker Hostess Brands, which is based in Irving, Texas, filed for bankruptcy in January and has fought with labor groups over contract changes throughout the year. Thousands of members of the Bakery, Confectionery, Tobacco Workers and Grain Millers International Union went on strike beginning on Friday at plants across the country, including Oakland, Calif.; Seattle; and Orlando, Fla. The union represents about 5,680 of Hostess’ 18,300 employees. On Monday morning, more than two dozen Hostess workers stood on a sidewalk outside the St. Louis bakery on North Broadway, refusing to cross the picket line set by striking bakers’ union members from Columbus, Ind. Some of Hostess’ St. Louis employees said they had worked at the plant that makes Hostess cakes and Nature’s Pride and Wonder breads for decades but were honoring the picket line to protest cuts to their salaries and other benefits. 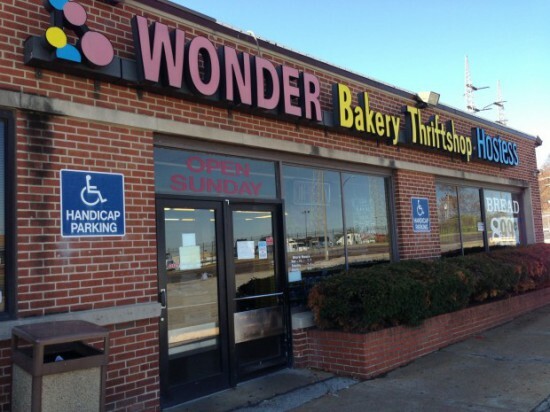 The St. Louis Bakers Union Local 4 represents 200 employees at the plant at 6301 North Broadway. It’s evident the bakers’ union is run by liberals, huh?